This Italianate style, single-dwelling residence was built by architects, Seeley Brown and William C. Barrett in 1867. The Francis and Abbie Solon house boasts much historical significance. Over 140 years old, this home was built in the economic boom following the civil war. The home was built by wealthy developer and farmer, William Barrett, with the assistance of architect Seeley Brown. Barrett is also responsible for the "Barrett Block" in downtown Champaign, now the One Main. 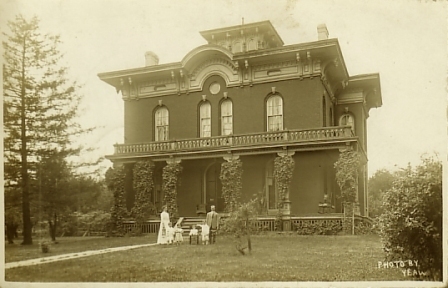 The home was then sold to Able Harwood in 1869 and would later serve as a retirement home for Harwood and his wife, Isabella. Following Able Harwood's death in the 1890s, his wife lived in the home until her death in 1903. The home was then rented out for a few years and finally purchased in 1907 by second-generation Irish-Americans, Francis and Abbie Solon. The Solons had five children and was inhabited by the Solon family for much of the 20th century until John Solon's death at the age of 91 (Pringle 2007). The home underwent some renewal and modification in the 1920s, including radiators and steam heating, an upstairs bathroom, and a kitchen/dining room area converted to an arts-and-crafts style. 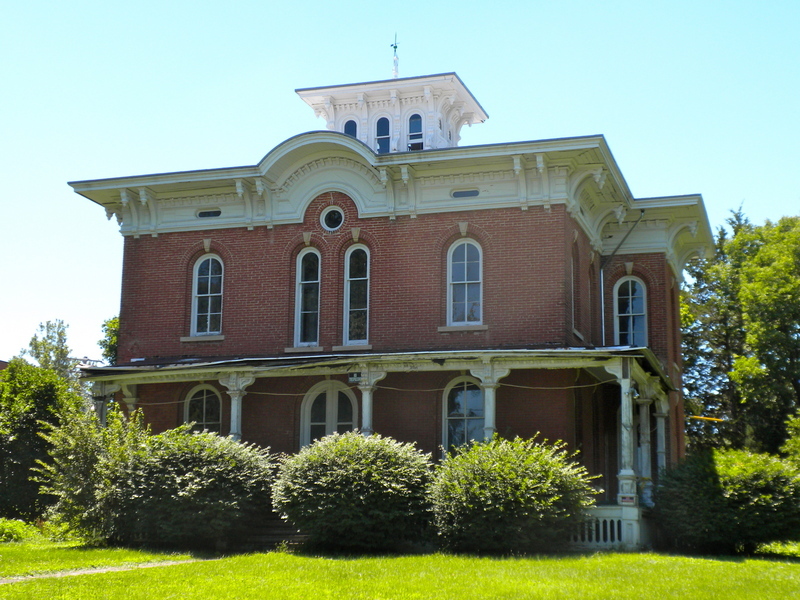 Today the home is recognized as a city of Champaign landmark and is owned by the Preservation and Conservation Association, who have worked to restore it for an amount bordering $500,000. The home was opened up for bidding on October 20th, 2007. In some ways, it could be considered the home that paved the way for Champaign's growth to the west and southwest. It was on the edge of town, with no other homes around when construction started. This building was originally developed by William Barrett to be a residential home. The home was built in 1867 in the Italianate style. 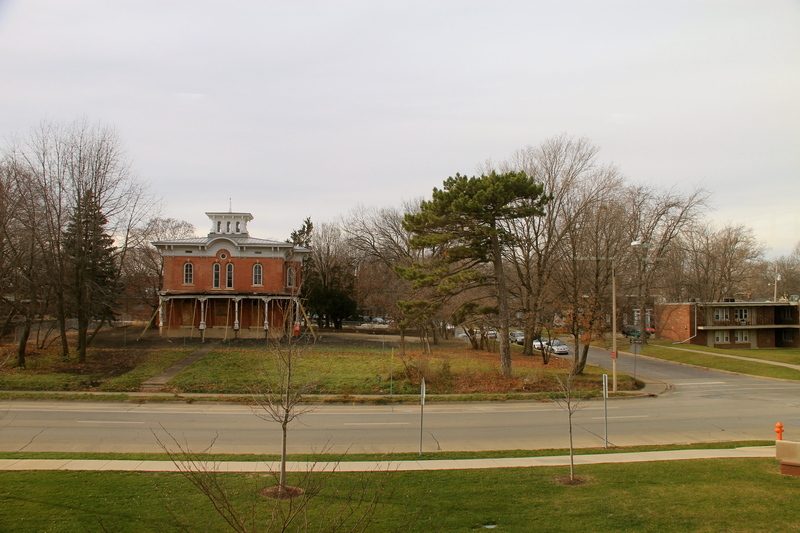 It is residential in its origins and today stands as a City of Champaign historical landmark. It is currently vacant, though it opened again for bidding in 2007 following a historical renovation. Architect Seeley Brown was born May 25, 1832 in New Caanan, Connecticut. Census records indicate that he began working in Champaign County around 1860, and an advertisement in Lothrop's City Directory states that he is a "practical architect and builder" with twenty years of experience (Kummer 2006). Developer William Barrett is among the references included in Brown's advertisement. Seeley Brown is known to have completed the first Champaign City Hall and Fire Department in 1889, as well as a large mansion at 501 W. Church St. in Champaign that was razed in 1912. 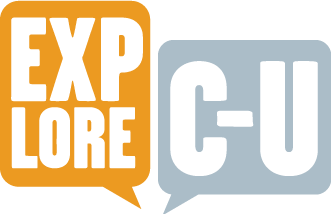 Calmeyn, Danny, Connor Mix, and Lisa Ryherd, “Francis and Abbie Solon House,” ExploreCU, accessed April 21, 2019, https://explorecu.org/items/show/313. Kummer, Karen Lang. (2006). National Register of Historic Places Registration form: Solon, Francis and Abbie, House. Retrieved 16 December 2014 from http://gis.hpa.state.il.us/pdfs/223458.pdf "Preservation Matters." Preservation and Conservation Society [Champaign, Illinois] n.d., 29th ed., sec. 6: n. pag. Print. Pringle, Kirby. "140-year-old Solon House Is up for Auction | News-Gazette.com." 140-year-old Solon House Is up for Auction | News-Gazette.com. News Gazette, 14 Oct. 2007. Web. 21 Nov. 2013.